Medieval Kings had their ermine, upper class Georgians their silverware, 80s Casuals on the football terraces had their Burberry and Lacoste. Luxury goods have continued to have their place in rewarding the successful, and identifying the elite, as industrialisation has broadened access to premium offers. At the same time, industrialisation, and the population explosion that it has encouraged, has put an increased burden on our planet and its resources. In modern societies the majority are working hard to achieve equality amongst our peoples, genders and ages to the point where to be elite, exclusive and a cut above the rest in a showy, arrogant way is just not appropriate any more. Yes we still have gold vacuum metalised Lamborghinis crawling round Knightsbridge and Cannes, but we are seeing a new sort of premium product subtly on display supporting a different set of values. Before industrialisation, the provenance of premium products was important to their exclusivity and status, but many of those stories no longer resonate or are just plain wrong. Hundreds of hours of cheap manual labour to make an exquisite object now takes seconds to replicate by machine. The rare animal fur cruelly caught in Siberia can be replicated synthetically, the speeds attained by super cars can be adequately matched by affordable cars on our roads in all normal, legal situations. These luxuries of the past have become meaningless, badges of status. As they become less differentiated, luxury brands have had to amplify their image. But this can easily become gaudy, losing any sense of meaning, value or style to the discerning customer. Importantly, new brand stories are required – something the connoisseur can both enjoy and be proud of. Similarly, brands have to show that they live and breath these stories. They are more than just words. Today, showing a sense of responsibility and awareness creates desire. This cannot be communicated by surface gloss, but through deeper, more involving stories that draw people in. We want to communicate our values and want to elevate our self-considered status by showing how we are looking after ourselves, the world around us, and the planet we live on. Being the early adopters of the latest technology that looks after rather than damages the planet has its own kudos. The hybrid Toyota Prius became the car of choice for Hollywood A-listers. Elon Musk launched his first electric cars as premium models to catch early adopters. Putting ‘cow free’ cream on your locally grown strawberries reduces green house gasses and carbon footprint and you can tell your guests how you can ferment milk from DNA programmed microbes – how could they fail to be impressed by your knowledge and care. Valued traditional custom-made products are still out there. 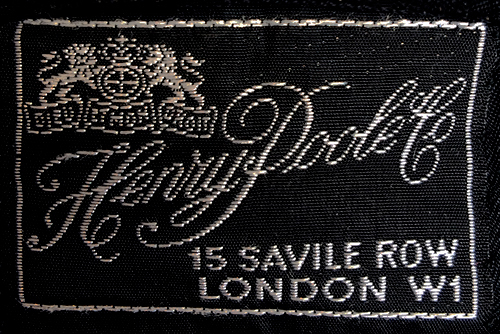 A hand made suit from Henry Poole of Saville Row will cost you five grand but will last several life times. However these products are being complemented with personalising tech. Habit will test your DNA to design your perfect diet that matches your activity and metabolism to ensure that special suit will always fit perfectly. We are seeing more value in the imperfect. In the past, perfection required great skill and many hours of labour, but machines find it easy to replicate perfection millions of times over. Mass production and sophisticated supply chains have also made our fruit and veg uniform and perfect. Yet we are now paying that little bit extra for a simple had made bowl that bears the maker’s mark, or locally grown ‘ugly’ capsicums found in a farmer’s market. They are simple things, but both tell the story of their provenance and of course their local nature reduces their impact on the environment. As designers, our job was always to celebrate the newness of things. T-shirts are clean and white, fresh sushi packed neatly on display and cars are shiny and perfect. So the first stain, crumple, scuff or scratch spoils that initial joy and we crave a replacement. Yet we are seeing clothing companies like Patagonia and Nudie Jeans celebrate those marks of experience because they represent a life lived. Don't replace that down jacket just because it has a slight tear, mend it because that garment was part of your adventures and its quality makes it worth keeping. Manufacturers need to review where their true value lies. Mass production gives us R&D, access, quality, safety and affordability – all essential in a mass premium space. What they need to lose is the ubiquity and disposability. Mass producers need to move from being consumable businesses to durable businesses. They need to embrace information technology, big data and AI to understand the individual purchaser and use flexible and direct supply chains to deliver personalised, customised and bespoke products. They also need to think more locally, without losing the advantage of scale, to properly connect to communities and support the essential stories of provenance required of these new premium products. The designer’s challenge is now to find ways to celebrate the grown and the worn and the hand-made. To find ways to encourage longevity, bring back heirlooms and reveal these new, more considered backstories. Going forward, craft will go hand in hand with smart technologies to create a more human, more responsible world. We need to find ways to repair rather than replace and help products grow better with age and use. We need to find clever ways to update and upgrade rather than replace or recycle. We are ready for it. All we need is to partner up with like-minded and enlightened brands.